After the two verses they go to a rippin' slide solo, but before I show you that let me show you what the rhythm guitars and the band is playing behind it, so you know what you'll be soloing over. 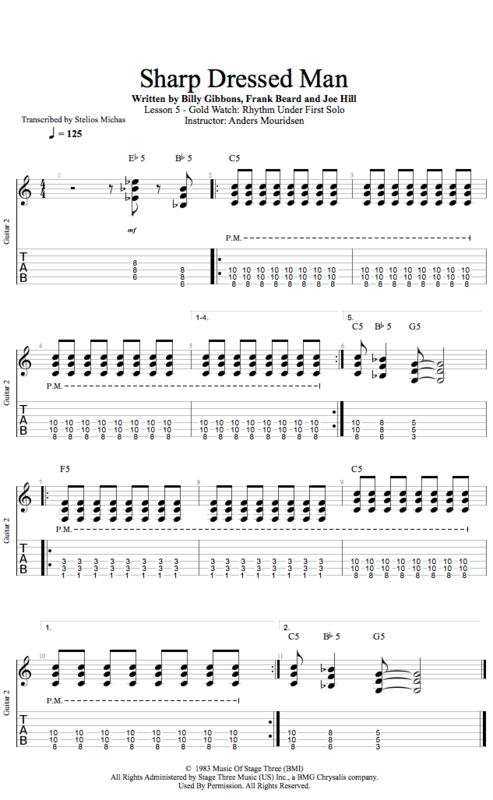 In order to leave space for the lead instrument the two rhythm guitars just play palm muted 8th notes behind it. They hang on C for 20 bars, and then a unison riff leads to the next section which alternates between the I- and the IV-chord and finally ends on a repeat of the unison riff.